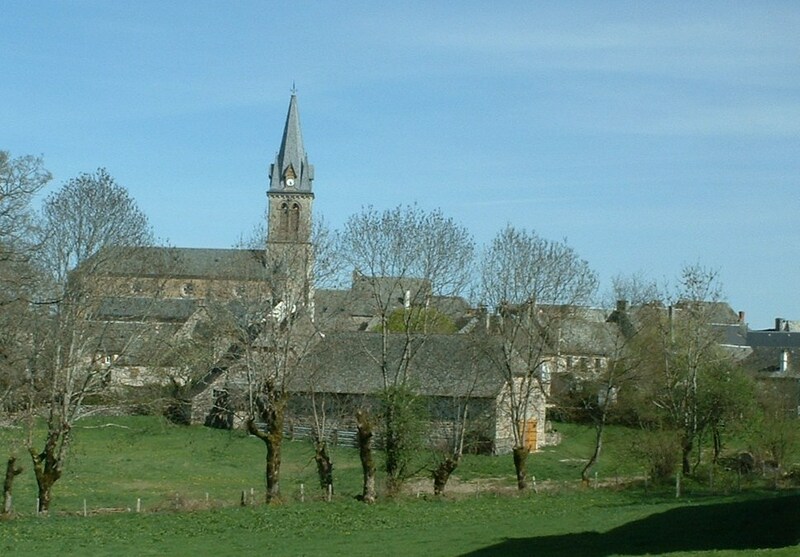 Sainte-Geneviève-sur-Argence (at an altituted of about 800m) is situated at the northern extremity of the Aveyron department on the verdant Aubrac plateau (to the west of the Regional Natural Park of the Aubrac. The Truyère has very deep gores which have gained the nickname “the gorges of the Devil”. 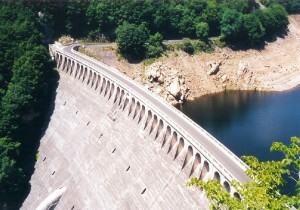 Formerly wild and difficult to reach, the river has welcomed a series of dams which have made it the foremost river in France for hydro-electric energy. Among them and close to Sainte-Geneviève, the Sarrans dam was for a long time the largest in Europe. Its lake offers magnificent views which are popular with tourists and anglers. A famous viewpoint over the Sarrans was set up in 2012. 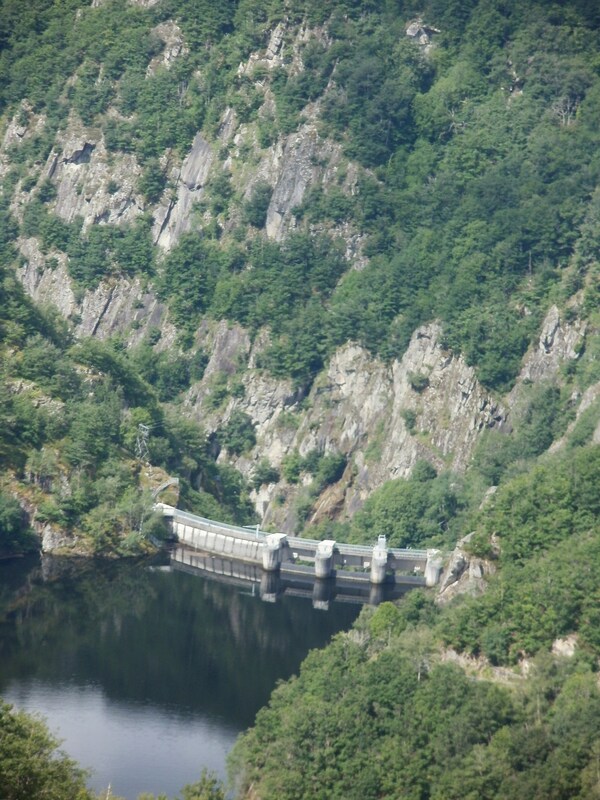 In 2014 the lake was drained for dam maintenance (vidange du barrage from Sarrans). This gave visitors a chance to take advantage of several informative and entertaining events which took place during the whole summer around the Sarrans lake. 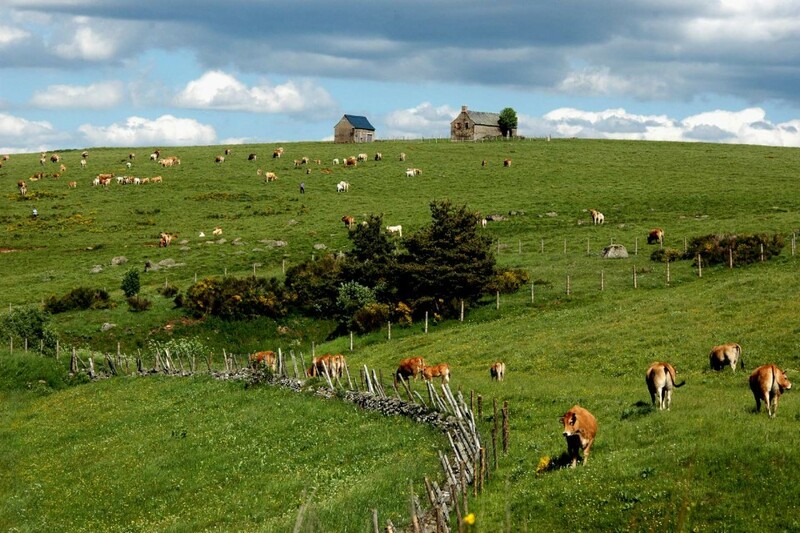 Viadène is a region of high quality beef rearing with using the celebrated Aubrac cattle. Sainte Geneviève owes its qualifier « sur Argence » to the Argence Vive (the living Argence) which has its source in Roc du Cayla (1 298m). 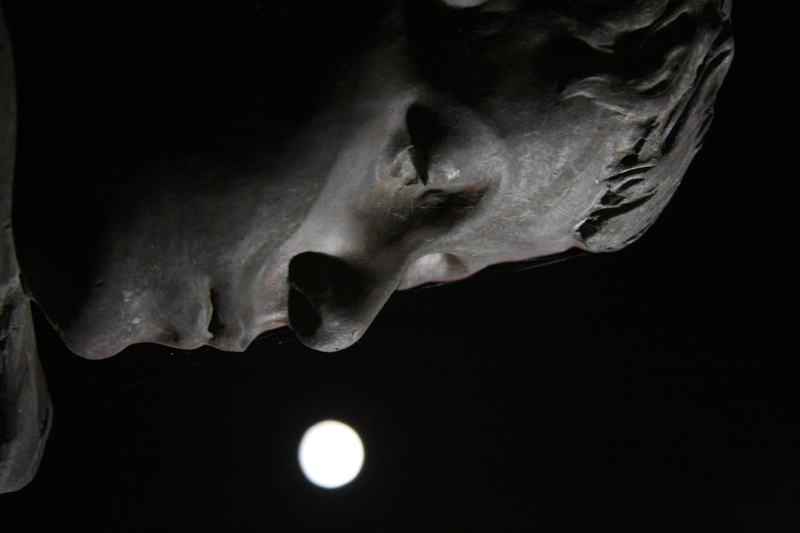 This joins the Argence Morte (the dead Argence) under the remarkable bridge of Orlhaguet (a stone bridge with three arches) before forming the gorges which are so popular with lovers of aquatic sports (canyoning) who are taken by a series of leaps to the Truyère. 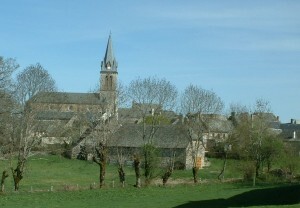 The Argence had several mills some of which are still visible. 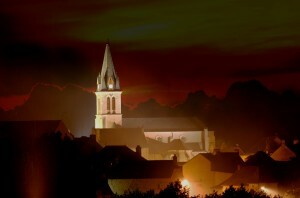 In Sainte-Geneviève, the church gains interest from the ruins of the former church, the chapel of the Seigneurs de Thénières and a goldsmith’s (?) cross from the 19th century. 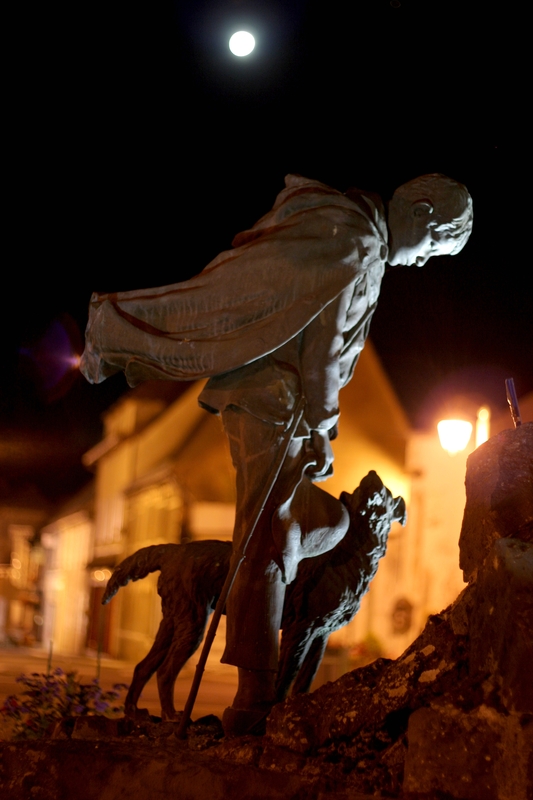 The monument to the dead sculpted by Eugène ARSAL, representing a shepherd boy acocmpanied by his dog weeping over his brother’s tom bis a copy of his sculpture « The voice of the bells » (1950) which can be seen in Rue Eugène- Renaud in Vincennes (94). In Orlhaguet, one of the most beautiful villages in northern Aveyron, nicknamed « the Nice of the mountains » you can find a series of 18 sculpted crosses from the 15th and 16th centuries which will lead you naturally to the fortified romanesque-gothic church topped with massive 14th century defensive features. In the village of Mels (4km away) an elegant little 12th century chapel shelters a jewel of the 16th century with a multicoloured wooden altarpiece made up of sculptured groups representing scenes from the life of Christ. (Guided tours are available. Book at the Tourist Office). Not far from the chapel there is a viewpoint known as “The ends of the earth”. There you will find a panorama along the Truyère valley to the Barthe dam. 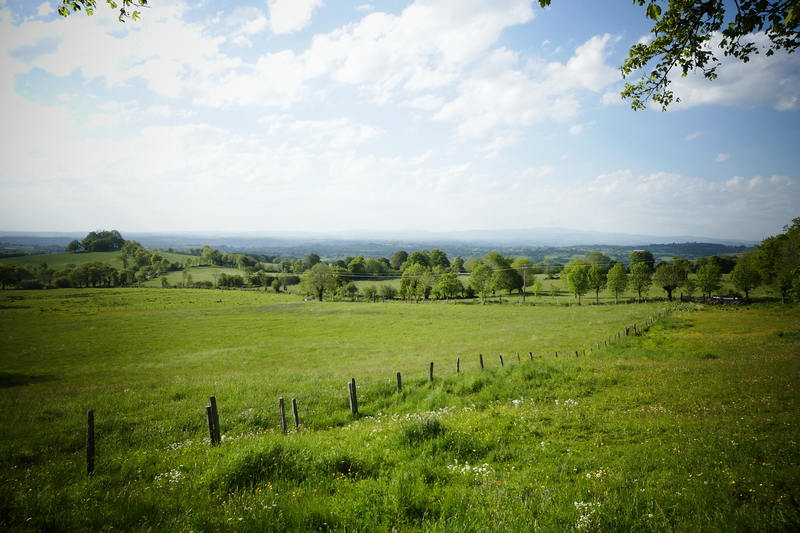 At Benaven, a pretty village surrounded by chestnut trees, there is a viewpoint on the Truyère valkey from the site of the 12th century castle. 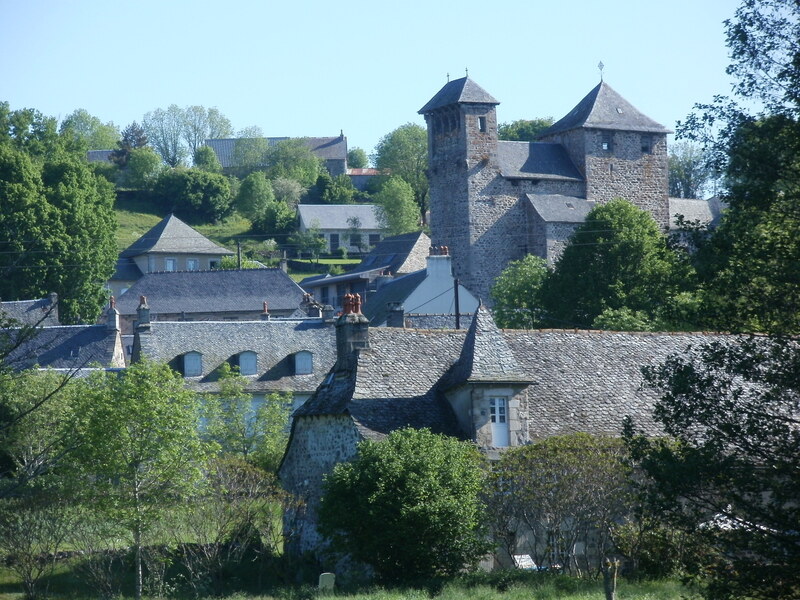 The area around Sainte Geneviève are overflowing with riches, some hidden, such as Rives with its 19th century church or Carmensac with its 19th century sculpted cross.